AKRON, Ohio (Aug. 22, 2018) – Bounce Innovation Hub and the City of Akron announced today that Bounce has signed a lease with SaberLogic Inc. SaberLogic is a 24-person software consulting firm and the developer of Bezlio, a mobile app that allows customers to design their own dashboards, without code, providing real-time access to data for a remote workforce. The company will move to Bounce from its current location in Wadsworth in September. The 16-year-old company pivoted in 2016 from software consulting to focus solely on Bezlio and recently completed a $2 million seed funding round. SaberLogic will occupy approximately 2,700 square feet on Bounce’s eighth floor and plans to expand its staff to 40 employees; add 15,000 users; and raise $5 million in annual revenue within three years. This growth plan prompted the move to Bounce. 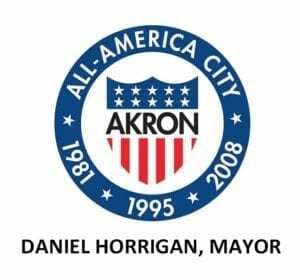 Bounce is an initiative of the City of Akron, and is the region’s first open innovation hub serving Northeast Ohio’s entrepreneurial and innovation community. Bounce encourages open collaboration among diverse groups through unique opportunities, programs and events. SaberLogic CEO Adam Ellis said it is the exciting startup ecosystem forming in Akron that attracted them to Bounce.